OKCTalk - Delayed AICCM will soon resume construction. 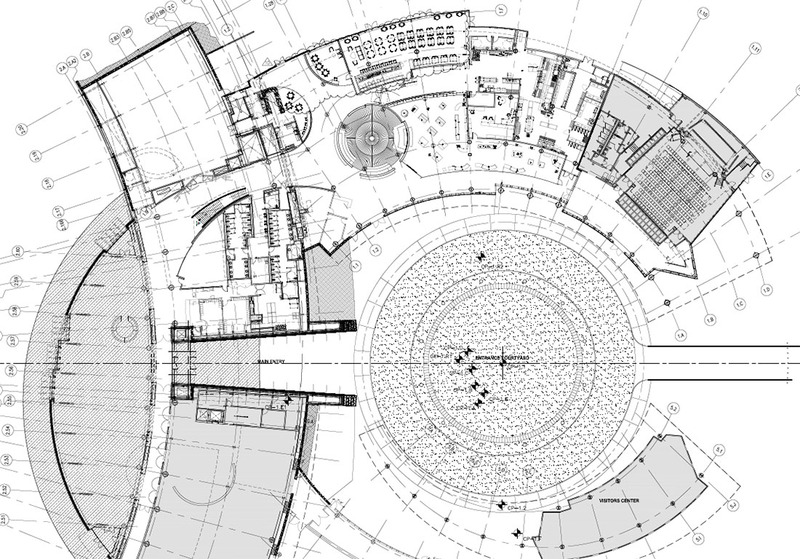 “There is one portion of the structure that has not been enclosed yet. That was bid on recently and we’re about to award that contract after the first of the year and that’s about $9 million,” said Tom Wilson, president of Architectural Design Group (ADG), a local design and management firm that serves as the agency representative of the cultural center. The total construction budget is $37 million, Wilson said. The interiors of the building have not been constructed and some of the exteriors remain unfinished, so ADG is looking for companies that can fully complete the facility. “We are looking for all trades — mechanical, electrical, lighting, sheetrock, finishing, flooring materials–literally everything that you can see in a building,” Wilson said. The goal is to open the cultural center by Spring 2021. Located at the crossroads of America, where four interstate highways intersect, the American Indian Cultural Center and Museum is expected to be a world-class facility with hundreds of thousands of visitors a year. 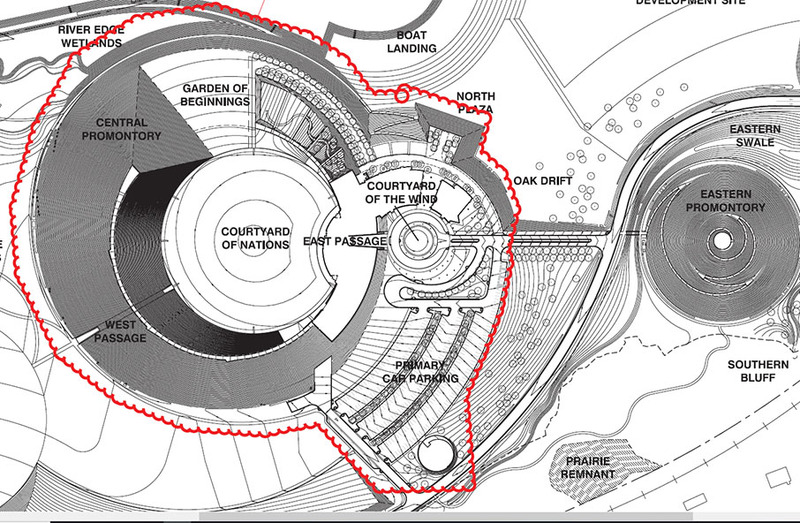 Development began in 1994 following creation of the Native American Cultural & Educational Authority (NACEA), a state agency charged with planning and design for the facility. Construction for the project originally began in 2006 but was suspended in 2012 when state funding ran out, leaving the facility unfinished. In 2015, Oklahoma City was given the responsibility to complete the project. The Chickasaw Nation partnered with the city to help. When Pepper Henry was named director of the museum in 2017, he was tasked with building the organization to manage the facility. To that end, he also serves as CEO of the American Indian Cultural Center Foundation, the fundraising arm of the project that will be the operator once it is complete. The building was designed nearly 20 years ago, so Pepper Henry and his team looked at the design and made changes to modernize the facility and make it more efficient. “We took a little time to kind of refresh the interior and rearrange some things to make the user experience much better and to help us on the operational side,” he said. Lighting systems were upgraded to LED lights, phone booths were removed and replaced with water bottle filler stations, and all major exhibits were moved to one area. By concentrating all exhibits into the south wing, operators can control the environment in that area consistently and have more fluctuation in the rest of the building, which saves money. The kitchen was also expanded to accommodate catering, which will help generate revenue. The goal is to source directly from the tribes as much as possible to produce a traditional menu with food that is indigenous to the region. Another way to generate revenue is through a gift shop, which will focus on the sale of one-of-a-kind handmade items by American Indian artists. This will also serve as another way to showcase the Oklahoma tribes’ culture and art. Exhibits will be bid on later this year because the building must be complete and pass certain inspections in order to get loans from other museums, Wilson said. 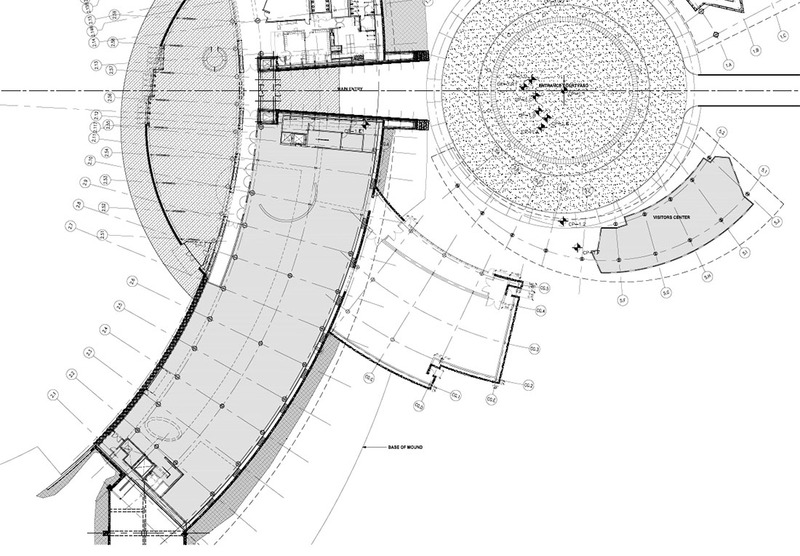 However, the design is for the galleries to have two levels. The main exhibit will be the Okla Humma Gallery, which aims to tell the collective history of the 39 tribes through the perspective of native peoples. The Mezzanine Level gallery will be for changing and touring exhibitions. The first exhibition will be a 10-year loan from the Smithsonian Institution, which will essentially serve as a time capsule of 100-year-old native items. 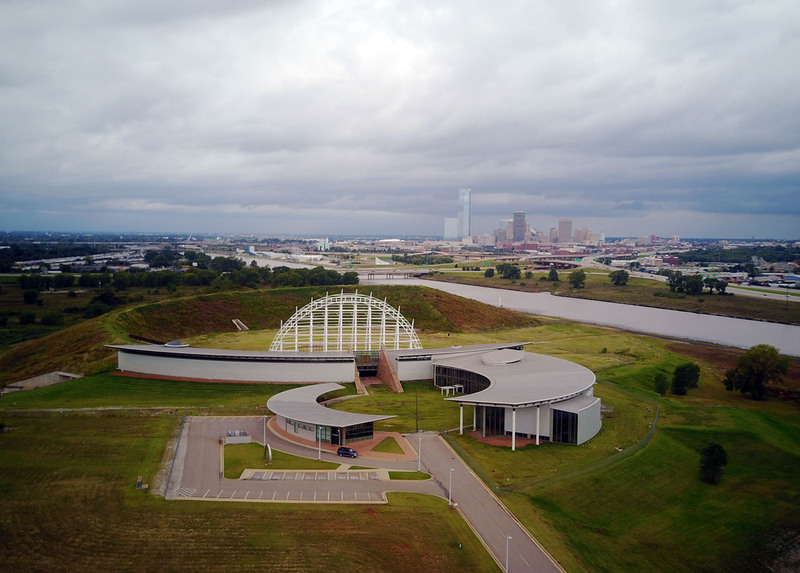 The cultural center also houses four performance and film venues that can host a variety of community activities and live performance events, an interactive discovery center, and an 85-acre cultural park along the Oklahoma River with self-guided walking trails and areas for Native sports and concerts. Pepper Henry said he’s proud of the holistic approach they have to showcasing the richness and diversity of the tribes. In more than 30 years as a museum director, he said that a project has never meant as much as the American Indian Cultural Center and Museum means to him. 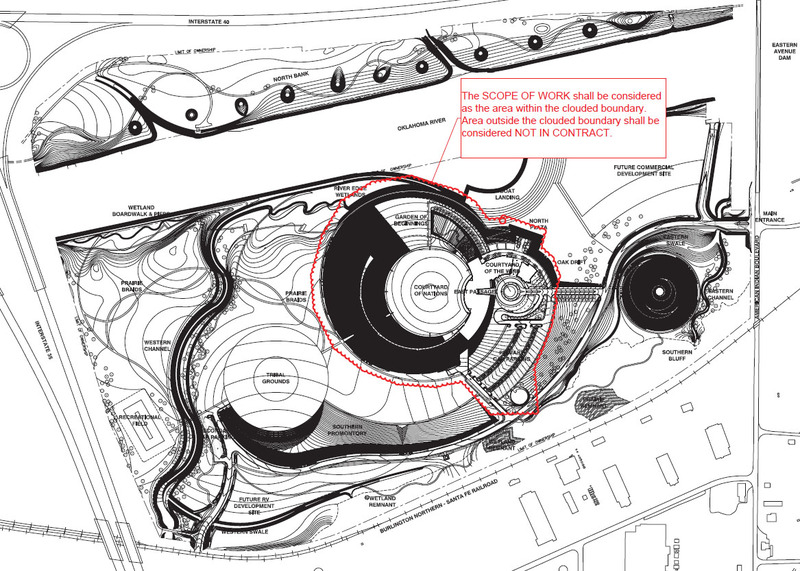 Construction on the cultural center is set to resume sometime around March. All times are GMT -6. The time now is 11:43 AM.